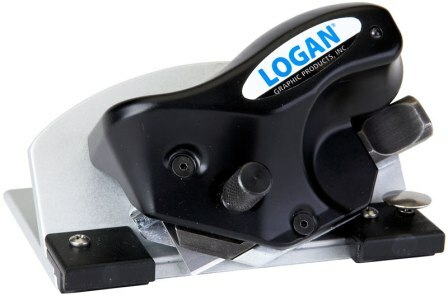 Technology meets artistry with the new Logan Model 5000 8-ply Mat Cutter. Designed to cut both 8-ply and 4-ply mat board, the 5000 features an ergonomic grip and an indicator light that glows when the blade is fully engaged. A quick change magnetic blade cartridge easily flips from 8-ply to 4-ply setting. Uses Logan 271 blade.